8 women, 4 bodies, 1 haunted house! 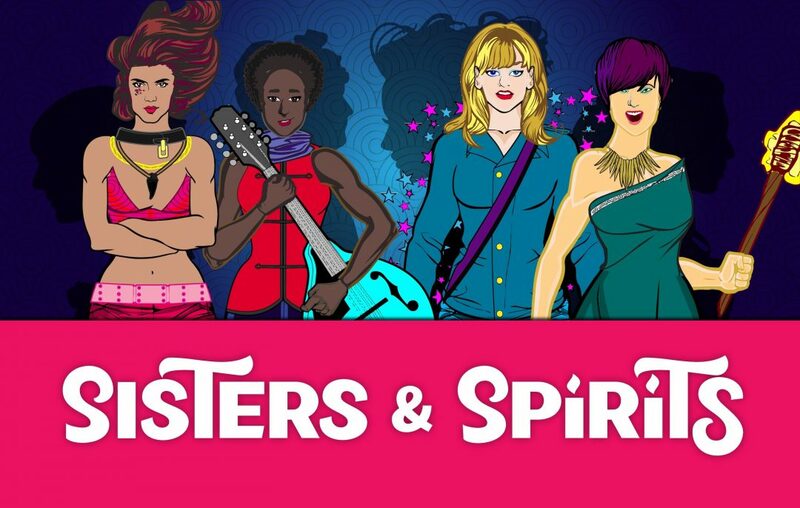 Sisters & Spirits gives players control of four sorority sisters staying overnight in a haunted house on a dare, and four spirits who've been trapped in the same house for decades. Come dawn, only four bodies will emerge into the light - but which souls will be in control? Room cards are laid out by alternating sides during the game's initial "discovery" phase of building the house together. As soon as the first External Door card is placed, gamely shifts as the Sisters try their best to escape the house unscathed. With 70 unique room cards to discover over the course of the game, the house layout will never be the same twice. Asymmetric abilities come into play during the second phase, shifting to Tower Defense / Escape the House mechanics: The Sisters can explore the house and utilize power-up items they find in the rooms as they race toward the exit door(s). The Spirits deploy obstacles to slow the Sisters' progress in hopes of terrorizing and then possessing the girls as a ticket to freedom. Tensions rise as the Sisters work their way toward the front door, growing more powerful with each new item discovered in their journey from room to room. Sisters can create new pathways through the house or rush the door in an attempt to escape before the Spirits surround and possess them. Meanwhile, the Spirits teleport through an inter-house network of portals, seeking to trap the girls and wreak havoc. The prototype art is lighthearted rather than dire and draws on classic horror tropes. Game components include 70 room cards, 8 character cards, 36 item/power cards, and 8 character pawns (or standees). A printable play-test version of the game will be available here shortly.